Pages: 332 - 9" x 6" - Hardcover - illustrated with dozens of unpublished images. 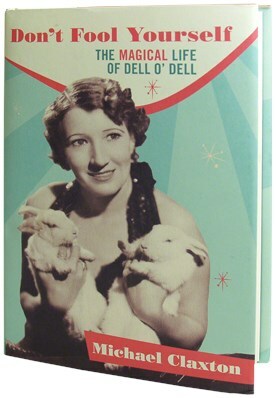 As a bonus, the dust jacket of each book includes a Dell O'Dell Dancing Doll novelty! Well written and engaging — as one would expect from an author who is a professor of English as well as a magic historian — and filled with photos throughout, this book should intrigue magic history buffs, inspire modern performers with a strong work ethic, and entertain anyone with an interest in show business.